सत्ये सर्वं प्रतिष्ठितम् - Everything is established in truth. शरीरमाद्यं खलु धर्मसाधनम् - Body alone is the instrument of doing all duties/deeds, Kumarsambhavam. तेजस्वि नावधीतमस्तु - May our knowledge become brilliant. श्रद्धावान् लभते ज्ञानम् - Reverent attains wisdom, Rigveda. विद्ययाऽमृतमश्नुते - Eat nectar through knowledge, i.e. be immortal through knowledge. 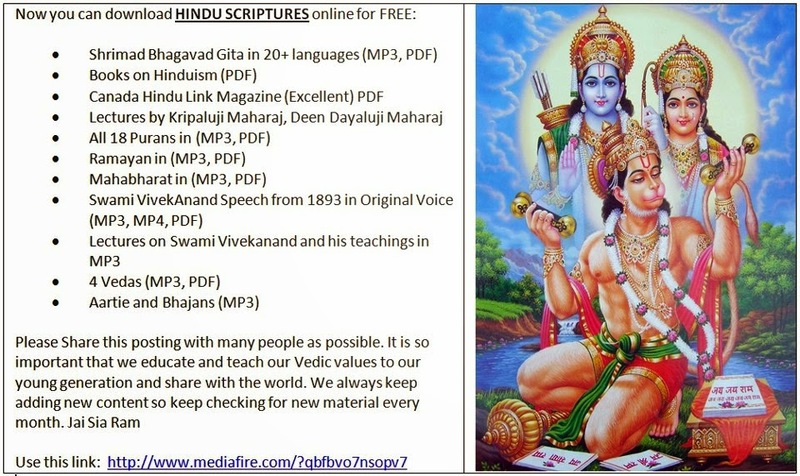 सा विद्या या विमुक्तये - That is knowledge which liberates. उत्तिष्ठ जाग्रत प्राप्य वरान्निबोधत - Arise, awake, obtaining worthy (teachers), know (the truth). ज्ञानं परमं बलम् - knowledge is the supreme power. असतो मा सद्गमय - Lead us From Untruth to Truth. निष्ठा धृतिः सत्यम् - Reverent dedication grasps truth. धियो यो नः प्रचोदयात् - May (the divine savitA) propel our intellect. विद्या ददाति विनयम् - Knowledge generates humility. तमसो मा ज्योतिर्गमय - From Darkness to Light. आ नो भद्राः क्रतवो यन्तु विश्वतः - Let good thoughts come from everywhere, from all the world. ज्योतिवृ्णीत तमसो विजानऩ - Jyotivranit tamso vijajnam. तमसो मॅा ज्योतिर गमय - Tamso ma jyotir gamaya. योगः कर्मसु कौशलम् - Excellence in action is yoga. ज्ञानं परमं ध्येयम् - Knowledge is the supreme goal. तमसो मा ज्योतिर्गमय - Lead us From Darkness to Light. सिद्धिर्भवति कर्मजा - Success is born of action. विद्यार्थी लभते विद्याम - One who aspires wisdom, attains it. श्रमम् विना न किमपि साध्यम् - Without effort nothing is possible. विद्या विनियोगात् विकास - Progress comes from proper application of knowledge. सुप्रबन्धे राष्ट्र समृद्धि - Better Management for Better Nation. विश्वजीवनामृतम् ज्ञानम् - Knowledge is the nectar of Life. उत्तिष्ठ जाग्रत प्राप्य वरान्निबोधत - Arise, Awake and Learn by approaching excellent teachers. भिन्नेष्वैक्यस्य दर्शनम् - See one in many / even in differences, see the unity. विद्या परमं बलम् - Knowledge is the supreme power. तत्त्वं पूषनपावृणु - Lord Remove Thou the Covering (that the Seeker may see the Truth). योगस्थ कुरु कर्माणि - Do while steadfast in yoga. सत्यं शिवं सुन्दरम् - Truth, auspiciousness, beauty. प्रज्ञानं ब्रह्म: - Knowledge is the attainment of God. उद्योगः पुरुषस्य लक्षणं - Industry is man's objective. उद्यमेन हि सिद्धयान्ति कार्याणि न मनोरथैः - A goal is achieved through labor, not by desire only. श्रमोनवरत चेष्टा च - Tireless effort and attempt. धर्मो रक्षति रक्षितः - Values protect the protector of values. स्वदेशे पूज्यते राजा विद्वान् सर्वत्र पूज्यते - A ruler is revered only in his kingdom, A learned man all over the world. विद्या विनयेन शोभते - Knowledge graces by humility. आत्मनो मोक्षार्थं जगधिताय च - For one's own salvation, and for the welfare of the world. विद्यैव बलम् - Knowledge is Power. न दैन्यं न पलायनम् - No misery, no running away / for a soldier, one should not seek mercy nor one should run away from the battlefield. श्रुतम् मे गोपाय - Let my learning be safe, i.e. let it be fruitful, let me not forget my learning. सा विद्या या विमुक्तये - Knowledge is that liberates. सत्यं वद धर्मं चर - Speak the Truth, Walk the Righteous Path. विद्यैव सर्वधनम् - Knowledge is the greatest wealth. सर्वस्य लोचनं शास्त्रम् - Science is the eye of all. य: क्रियावान् स पण्डितः - Learned is the one who is industrious. सह वीर्यं करवावहै - Let the teacher and student together perform great acts of strength.